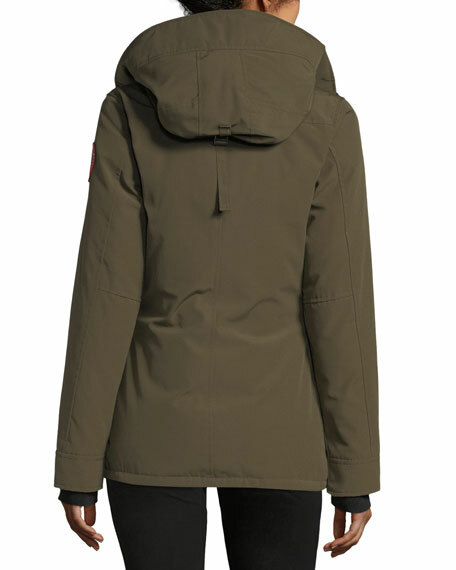 Canada Goose "Rideau" parka in Arctic Tech fabric with durable, water-repellant finish. Approx. 28"L through center back. Hooded collar with a brushed, tricot chin guard for comfort. 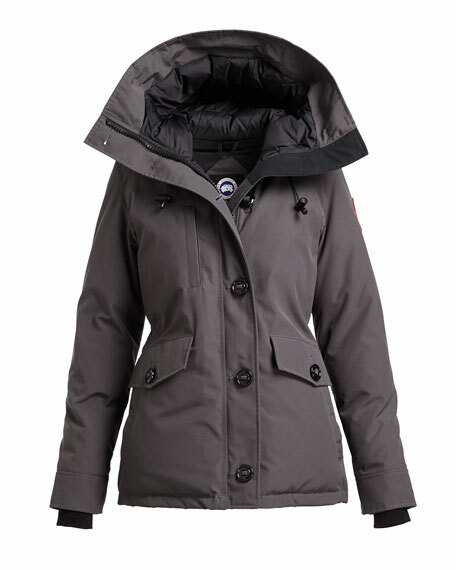 Military button front with heavy-duty, YKK® two-way locking zip front. Long sleeves with recessed, ribbed cuffs; logo patch at left shoulder. Napoleon pocket at chest; fleece-lined seam pockets at waist. Button-flap pockets at front; two interior pockets. Barbour "Dalgetty" parka jacket with waterproof finish. 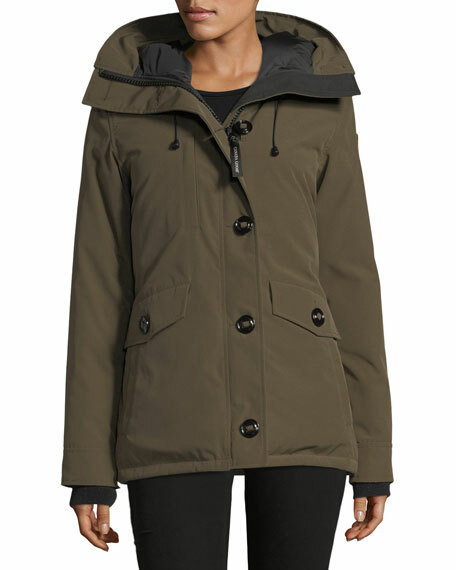 Funnel collar with detachable hood. Yoke details to front and back. Long sleeves; logo at left arm. Hidden zip/snap placket. Standard silhouette. Hand-warmer, double-entry flap pockets. Curved hem at back. Below-hip length. Polyester outer shell. Polyurethane laminated. Unlined. Dry clean. Imported.